At Unique Threading Salon, we love giving our clients henna tattoos. With extensive experience in the art of henna, we can masterfully design a tattoo for you that will last seven to 10 days. If you’ve never gotten a henna tattoo before, you may wonder what all the fuss is about. Rest assured, this body art has a centuries-long history for a reason. 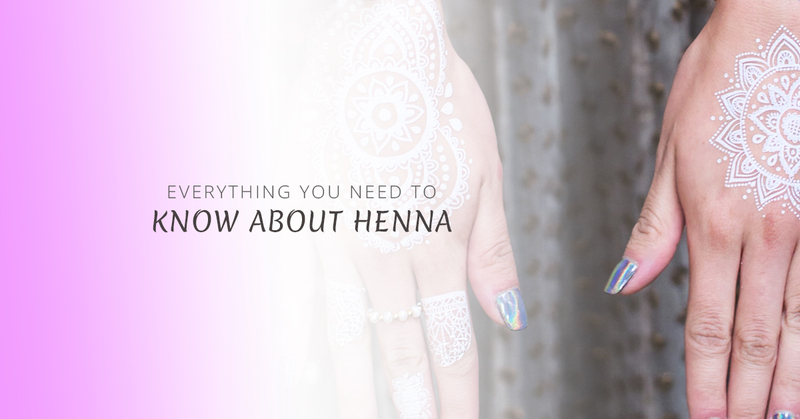 In this blog post, we will go over everything you need to know about henna. First of all, you may be wondering what henna is exactly. Henna is a flowering tropical plant that has been used for thousands of years for both beauty and health purposes. The plant is also referred to as a henna tree, hina, or Egyptian privet. The most common use of the henna plant is to create dye, which is used for hair, nails, fabric, and tattoos. When you receive a henna tattoo, it temporarily dyes the skin a dark brown, red, or orange color, depending on your skin tone. Your henna tattoo artist will create beautiful patterns on your skin that will last for about a week to a week and a half. You can’t simply use leaves from the henna plant to dye the skin; you need to treat them first. The process of making henna for tattoos starts with drying out the leaves, then grinding them up. The ground leaves are then mixed with lemon juice and further ground up into a paste. Some people like to add essential oils to their henna tattoo paste. Henna uses all natural ingredients. The paste reacts with the keratin in your skin to create the stained, red-orange color you’re familiar with. The thicker the skin where you apply the henna, the darker the color, such as the bottom of the feet or palms of the hands. The darkness of the tattoo will also depend on the skin tone of the recipient. At first, the tattoo will appear lighter, but it will then darken over the next couple of days. Eventually (usually after a week or so), it will fade away completely. What is the History of Henna? Henna has been around for thousands of years and has been used by a variety of cultures. While India is most often associated with henna, it has been used all over the world since ancient times. For example, many African countries, particularly Egypt, have incorporated henna into their culture. Middle Eastern countries, such as Pakistan, have also used henna tattoos for many years. Henna has cooling properties, so it was originally used to cool off those who live in arid climates. After seeing the way the skin was dyed by this paste, the idea of henna tattoos was born. Henna tattoos were used by a wide variety of people, from Cleopatra to the poorest individuals who couldn’t afford jewelry and so used henna as decoration instead. Traditionally, henna tattoos were worn during large celebrations, such as weddings, birthdays, and religious holidays, and this tradition continues today in many cultures. In particular, in India, the bride is decorated with ornate henna tattoos all over her body. This can take several artists and hours to complete! Today, henna tattoos are seen in a variety of contexts. You might get a henna tattoo for a special occasion, or just because! If you’re interested in getting a henna tattoo in Chelsea, contact Unique Threading Salon!